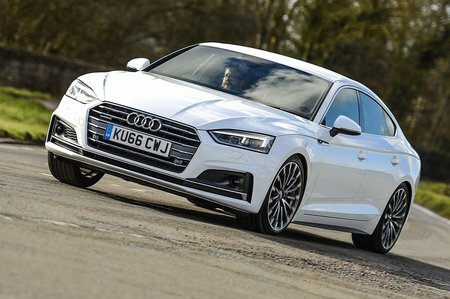 You’ll need around £25,000 to get behind the wheel of the latest A5 Sportback, this for an early 2018 with a low mileage and a full service history bought from an independent or franchised dealer. At this price level it’s more likely to be the 2.0 TDI 150 version you’ll find, as it’s the most numerous version of the A5. Spend between £26,000 and £28,000 to purchase a 2.0 TDI with the more powerful 190 engine, or one of the petrol-engined cars, with all the same criteria applied. Up this to between £30,000 and £34,000 to find the 3.0-litre cars, or 2018 and 2019 2.0-litre models, from franchised dealers. On paper, the most economical version is the 2.0 TDI 190 Ultra diesel with, in some trims, an official average fuel consumption of 68.9mpg and corresponding CO2 emissions of 108g/km. Some of the cooking versions of the 2.0TDI 190 can give as much as 62.8mpg, and the 2.0 TDI 150 67.3mpg and 110g/km of CO2 emissions. 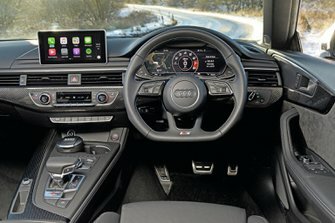 Don’t expect much more than the official average 55.4mpg from the petrol-engined cars, the best being the 2.0 TFSI 190 version, with corresponding CO2 emissions of 117g/km. Annual car tax (VED) will be based for all cars registered after the changes of April 2017 came into force on a flat rate, currently £140 a year. On top of this, there is a supplementary luxury car tax to pay on all cars that cost over £40,000 new, a threshold that many A5 Sportbacks cross. This will incur an extra charge currently £310 a year. Insurance costs should be reasonable for a car of this type, with groups ranging from 29 to 42 for the S5, and as for servicing, though not cheap, should be better once these cars are three years old when they will qualify for Audi’s fixed-price servicing plan.